The E77 flipper by Real Steel is a sleek entry level knife with a comfortable design for tackling everyday cutting chores. 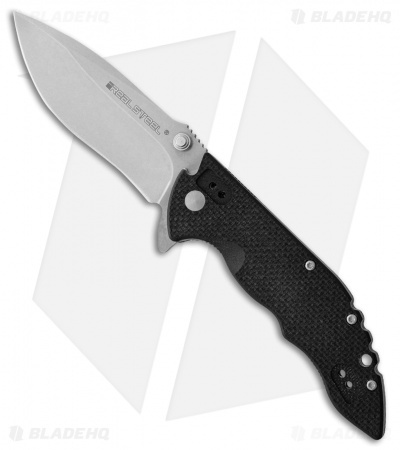 8Cr14MoV stainless steel blade with dual thumb studs, flipper, and a bead blasted finish. Textured black G-10 scales offer a solid grip at all times. Reversible deep-carry pocket clip allows a variety of carry options.